It is never too early to start conducting the important initial research that will help you to decide on the right study destination, institution and course. Institution websites, this Guide and www.studiesinaustralia.com are the best places to find this information. Check the academic and English language requirements for entry to your course prior to applying. Ask your institution whether you will need to demonstrate your English language proficiency, the tests they accept and what score you will need. You should register for the test about 18 months prior to commencing your studies. You will need the results in order for your student visa to be processed, but it is important not to register too early because institutions typically only accept test results that are less than two years old. 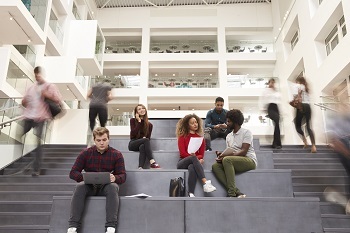 Generally institutions don't set deadlines for international student applications, but it is best to apply as early as possible so that you have time to organise a visa, flights and accommodation. You can have the forms posted to you, apply online through the institution's website, apply through an education agent or at an education fair. It can take a few weeks to complete the application as you need to obtain supporting documentation and get certified copies (or certified translations) made. Most institutions take between four and six weeks to assess applications. Read the offer very carefully to make sure that course details and fee amounts are correct. Students with 'unconditional' offers are free to accept the offer and make their first tuition payment to the provider, while those with 'conditional' offers will need to satisfy other conditions before they are able to enrol. If you receive a conditional offer of enrolment, you will need to find out what conditions need to be met and return certified copies of all necessary documentation to the institution by the due date. Visa processing through the Department of Immigration and Border Protection (DIBP) or an Australian visa office in your home country can take up to 12 weeks, so apply as soon as you receive your letter of offer or Confirmation of Enrolment (CoE). Purchase your OSHC as soon as you have received your letter of offer (at the same time as you apply for your student visa) because you will need to have OSHC in order to satisfy the grant of your student visa and accept your offer. It is best to do this as soon as you have received your offer and your student visa has been granted so you can secure your preferred accommodation. You can book your flight once your institution and visa applications are approved and accommodation arrangements have been made. Make sure you allow yourself enough time to settle in before classes start and that your arrival date coordinates with international student orientation sessions and your accommodation check-in date. Many providers offer a free airport pick-up service for international students. If this is not provided, you will need to make your own arrangements. At this point you should also confirm your arrival date and time with your accommodation provider, so you can be sure that they are expecting you. 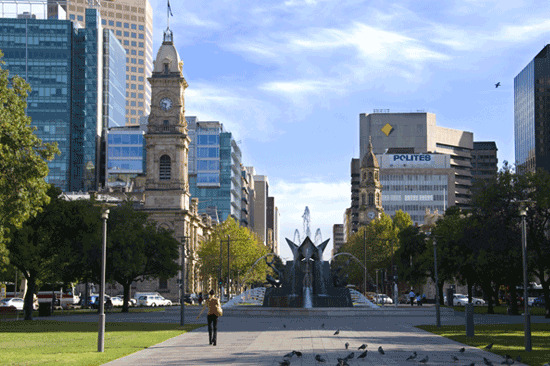 Australian city spotlight: what's on in Adelaide?